We build and custom craft assortments to fulfill your specific needs. Whether you’re looking for a little backyard fun or want to put on the biggest honkin’ show in town, we’ve got your back! 36 shells. Single & multi-break shells! 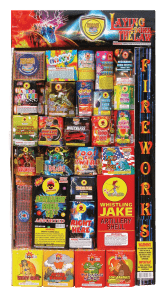 Fountains, aerial repeaters, sparklers, single shot tubes and assorted reloadable shells with tubes. 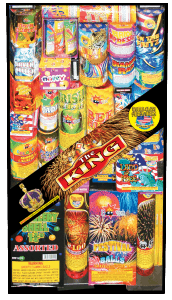 The king of assortments! This assortment isn’t messing around! 24 cakes, 5 Saturn missiles and 2 boxes of artillery shells. 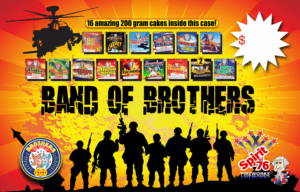 Get these 16 classic Brothers multi-shots: Grand Canyon, Magic Carpet, Falcon Rising, Red, White, and Blue Salute, Drinker of the Wind, Wild West, Super Stallion, Wild Mushroom, Clipper, Bling Bling, Evil Enemy, Sabertooth, Killer Alligator, Mechanical Bug x2, and Night Vision.